While it is a bit colder then I would like, and anyone who knows me knows I LOVE the beach, the cold does not stop me from thinking about sunshine and fun in the sun!!! Our NEW stamp set from the Occasions catalog that just launched Jan 4th, is the perfect stamp set to create great cards and projects that allow you to dream of sunshine if you do not have any at this time. 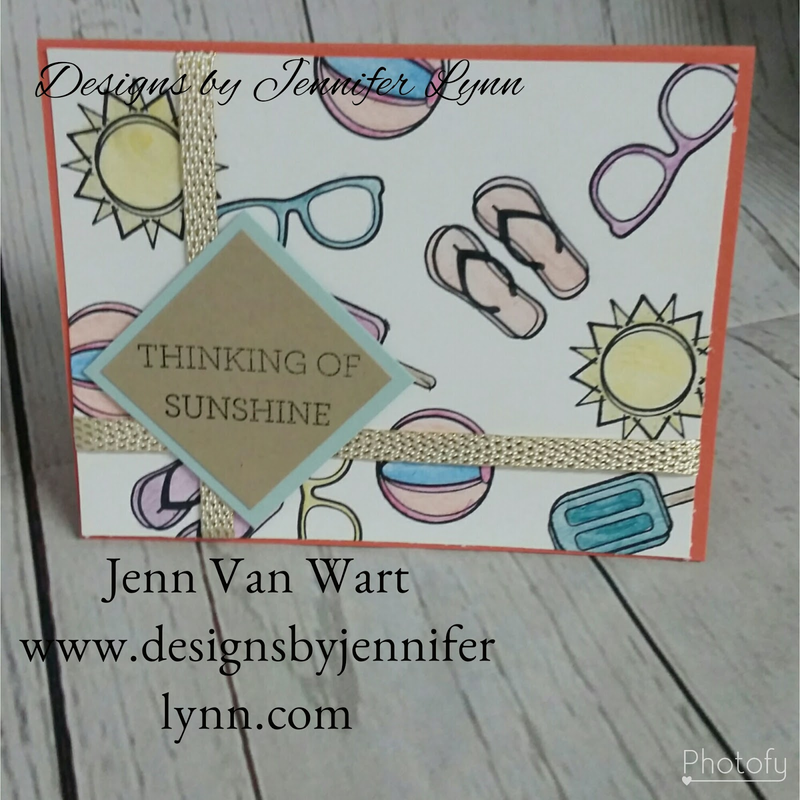 I created this simple, yet adorable card, that is perfect for sending to anyone you would like to share a special note with or just some "sunshine." This is just a foreshadow for an upcoming class that will be creating some sunshine no matter where you are or what the weather is. Listed below are the items used to create this cute card! ....and right now with this project list of supplies you would be able to choose not one but TWO FREE items from our awesome Sale-A-Bration catalog, which is where the beautiful metallic gold ribbon comes from. Enjoy and stay tuned for an upcoming tutorial using these amazing watercolor pencils. Thanks for stopping by.